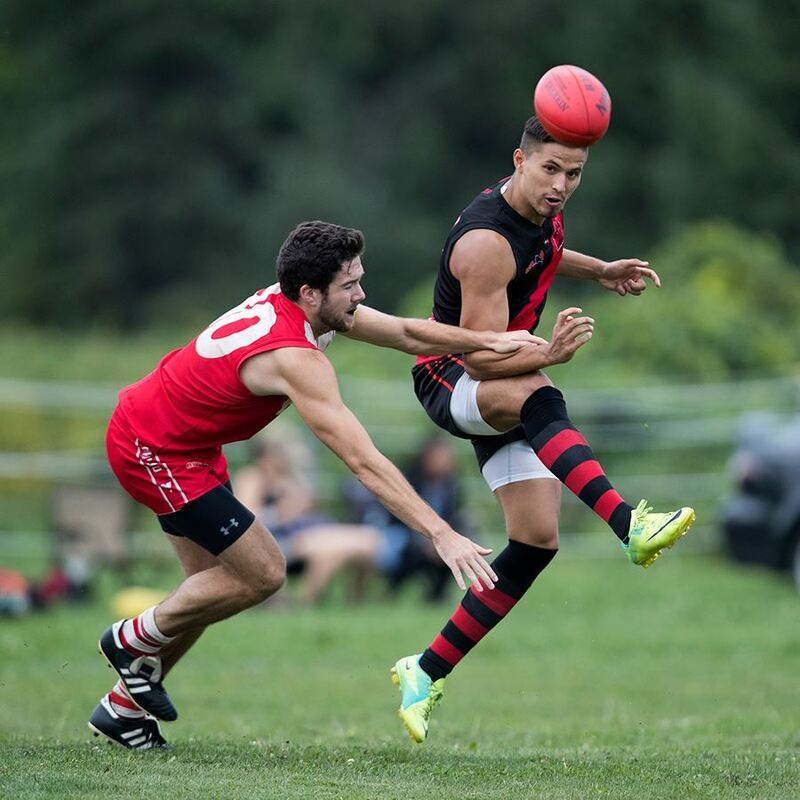 The Toronto Dingos mounted a brave fight back in the final quarter, but ultimately fell to the second-placed Ottawa Swans to end their 2016 season. Coming out of the blocks strongly, the Dingos kicked the first goal of the match and controlled much of the play. Ottawa responded quickly, though, with the red and black backline struggling to contain their full-forward, who kicked three opening quarter goals to send the Swans into the first break with a handy buffer. Ottawa managed to hang on to their lead for the remainder of the day, despite the Dingos kicking three quick goals in the final quarter to remain within striking distance. In the end, Ottawa was too good for the Dingos on the day, ending their season with a 13-point victory. Once again, Justin Davis was a force to be reckoned with through the midfield and around the ground, dominating possession and kicking three vital goals to keep the Dingos in the match. Rookie Thomas Santibañez-Espinosa finished his first season strongly by kicking two goals and having a hand in several more, while Mike Bocian provided his typical attack on the ball out of the backline. In the midfield, Steven Speers and Michael Ladd were everywhere, while James Duggan battled hard against a heavy tag all day and laid several important tackles. Veteran Dave Wells shut down the Ottawa full-forward after his dominant opening quarter to help keep the Dingos in touch with the Swans, and the rest of the backline applied strong pressure to limit Ottawa's scoring chances in the final three quarters. The Dingos now head into the offseason with a very busy social calendar lined up, beginning with the club's AFL Grand Final Party on September 30th.